Php-web Design-seo Training Course By DocckolkataSeo/smo/digital Marketing Training And Placements By Docckolkata. This course designed with aimed that a candidate simply learn website designing using HTML and advance HTML concept and beautiful design aspacts with CSS. It gives you all small details about website development with great proficiency. 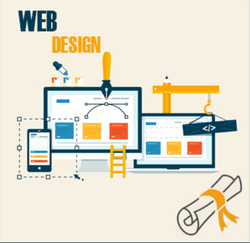 After completing this course candidate can easily design a website with modern standards. - Understand the roles of XML in multi-tier architecture for distributed systems. - Understand the role of XML in Webservice and SOA. - Building Document Type / XML Schema Definition for an XML Language. - Implementing the XML Language in Java using JAXP (DOM, SAX, and StAX). At Arena Kalkaji we make it simple for students to understand that computer graphics are as simple as drawing pictures on computer. Through our graphic and web designing course a student is able to master the art of combining text and graphics. Web design is covering a many different skills and disciplines that are used in the production and maintenance of websites.You need to create professional websites quickly and easily. The course materials include the Tips and Tricks tutorials to create a website quickly and easily. Our company is highly esteemed in providing Web Designing Training to the clients. This service is rendered under visionary guidance of our adept professionals who have got years of experience in allied area. Web Designing Training ensures to provide needed, chosen and preferred result to customers within stipulated time. 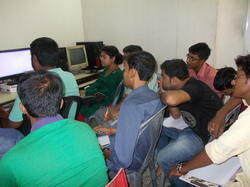 We provide Training in web designing if you want to increase your skills So We offer training in the following areas. 1.HTML 2.CSS 3.PHP 4.MY SQL. A website is a collection of related web pages that contains the whole information about your business.In simple terms website is the first step to be present on the internet because if there is no presence of your business on the internet you are very far behind from your competitors.